Take four legendary riders and drop them off in one of the world's most remote deserts with 24 hours of daylight and nothing to do but scope out the most epic big mountain lines ever ridden, and you have yourself the premise of an adventure unlike any other. The rider cuts a few turns as he picks his way down the slope, but what at first glance looks like just another riding shot from a mountain bike movie soon reveals its true nature, as the camera pulls back to show a mountain of mind-blowing proportions with the rider who filled the screen mere moments ago instantly reduced to an insignificant speck the size of of a few pixels. 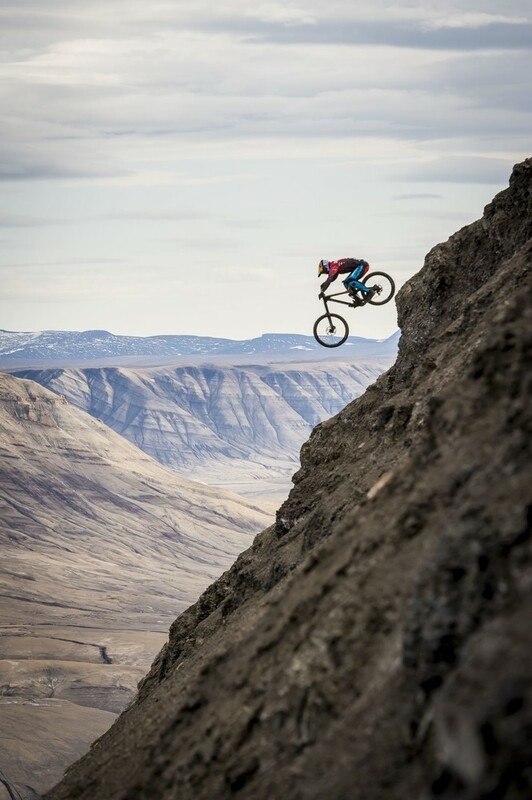 This is big mountain riding pushed to the extreme, and its the reason why Darren Berrecloth, Cam Zink, Carson Storch and Tom van Steenbergen traveled to the middle of nowhere to shoot North of Nightfall. To sum it all up in one sentence: the quest for the ultimate line. Middle of nowhere? Actually, getting to Axel Heiberg Island is more like going to the middle of nowhere and then continuing on just a little bit further. The island sits so far North that no humans live here permanently, and it probably won't figure in any adventure travel brochures either. 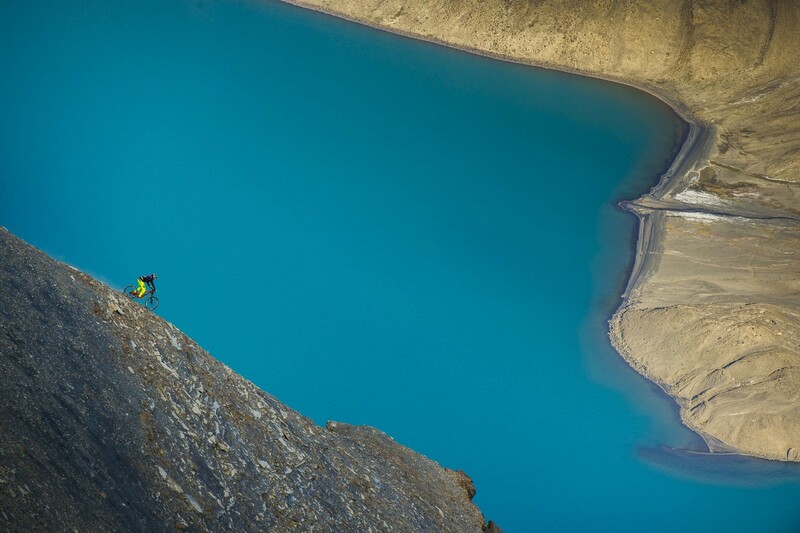 So what made this fearless crew of freeriders decide to come here to look for a riding spot? To sum it all up in one sentence: the quest for the ultimate line. The same quest that brought us Where The Trail Ends and Riding The Tatchenshini continues to fuel Darren Berrecloth's imagination today, and after stumbling upon some pictures of this reclusive high desert he knew he had to check it out for himself. And so it came to be that after an initial scouting session, Darren joined by Cam Zink decided to make the project a reality, and the pair promptly rounded up a bit of young blood to join in the fun. Who better than the next generation of Rampage rippers to help carry the torch of big mountain riding and ultimate exploration forward? Not that Darren and Cam are going anywhere anytime soon, but having Carson Storch and Tom van Steenbergen be a part of this adventure seems like the perfect fit and a sure-fire recipe for extra radness. 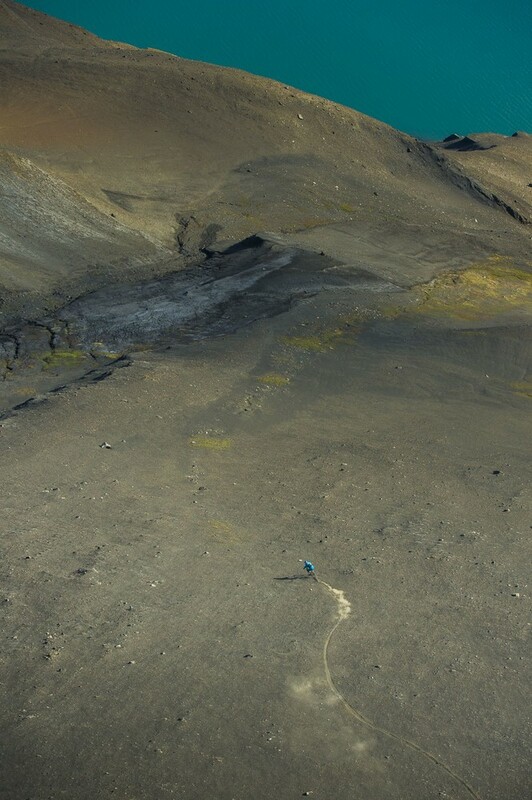 Having established that Axel Heiberg Island isn't exactly up the road, an expedition was put together to allow the riders to spend the time necessary to scout and ride the incredibly imposing terrain of this unique part of the globe. Shaped by multiple ice ages and thousands of years of geological mayhem, the high mountains of this arctic desert seemed to hold limitless potential for getting rad on a bike. Not that any of it was going to be easy to get, but it was there to be had - if you possess the skills, the determination, and the right support crew to allow you to pursue your dreams in such a hostile environment. The crew spent nearly a month on site entirely self-supported, living to a schedule imposed by light and riding conditions more so than any clock - with 24 hours of daylight any kind of normal routine would probably have seemed pointless. Far from just a shred flick, North of Nightfall also allows us to immerse ourselves together with the expedition team in the land itself, and learn more about what makes this region so unique and so fragile. With nothing more than a tent wall to shield you from the environment and an electric fence to keep the polar bears out, you can't get much closer than this. This angle of the project serves both to draw attention to the increasingly dramatic effects of climate change as well as help paint the backdrop for the riding. Because if there is one thing that this movie delivers, it's an impression of size and scale. We are so accustomed to seeing images of Utah and similar landscapes that when watching the movie for the first time, our eyes would constantly rescale the Axel Heiberg mountains only to then be completely dumbfounded by the next wide angle shot seemingly super-sizing the whole thing back up to ridiculous proportions. Throw in the world-class riding and you have yourselves a feast for the eyes and a bit of a mind-bender to boot. Going big in such a remote location cannot be taken lightly, and the crew paid the price for pushing the boat out on more than a few occasions. Just riding the terrain proved a formidable challenge at times, nevermind adding in synchronized backflips and 720s off massive natural features with rough landings. One look at the casting for the movie and we knew what to expect of course, but that takes nothing away from just how gnarly things can get in such a remote place. Without spoiling the movie experience for you, everybody went home with a smile on their face and ready to fight another day, although the arctic did impose a toll of bumps and bruises as well. That's just how these guys roll. If you are ready to lose yourself in the amazing cinematography and join this journey to the end of the earth in search of the ultimate rush, you've come to the right place. It's hard to make a unique mountain bike film these days, but North of Nightfall combines stunning scenery, mind-blowing riding and awesome story-telling skills to produce a movie experience unlike any other. If you're expecting endless, back-to-back shredding scenes against a backdrop of heavy metal you'll be sorely disappointed, because that is not what this project is about. However, if you are ready to lose yourself in the amazing cinematography and join this journey to the end of the earth in search of the ultimate rush, you've come to the right place. To find out more and purchase a copy of the film, head on over to North of Nightfall.